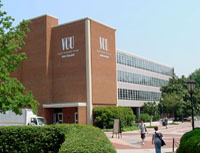 Virginia Commonwealth University is located in Richmond, the capitol of the Commonwealth, and is the largest university in the state. The Department of Statistical Sciences and Operations Research, housed in the College of Humanities and Sciences, was founded in 2001 after separating from the former Department of Mathematical Sciences. The department currently has 15 full-time faculty members and has plans to grow to 19 full-time faculty members. Degree programs offered include both B.S. and M.S. degrees in Mathematical Sciences/Statistics and Mathematical Sciences/Operations Research. Approval has been granted for a Ph.D. program in Systems Modeling and Analysis. With the hiring of new faculty and development of graduate programs, over the past five years the department has doubled its research productivity in terms of publications and grant funding while maintaining introductory statistics as one of the most popular general education and service courses at the university. The Department of Biostatistics is housed in the VCU School of Medicine and is committed to excellence in providing a graduate training program, conducting multidisciplinary collaborative biomedical research and developing new statistical methods. Degrees offered are the M.S. and Ph.D. in biostatistics, M.S. and Ph.D. with a genomics biostatistics concentration, and an M.S. in biostatistics with a concentration in clinical research and biostatistics. The Department includes 17 full-time faculty members who have expertise in data management; analysis of high-throughput genomic, proteomic, and metabolomic data; methodologies for designing studies of mixtures of drugs or chemicals; dose-finding and adaptive designs for Phase I studies; linear and non-linear modeling of longitudinal data for epidemiological studies and clinical trials.